Originally the distributor for Storck's e-bikes, Storck Raddar UK will now officially distribute the road bikes & MTBs, too. Storck bikes of Germany were introduced into the UK by Poshbikes, a Kent-based retailer of very high-end bikes and accessories. The new distribution deal means Poshbikes will continue to be a stockist of Storck bikes and will also become the worldwide exclusive supplier of custom-tuned and bespoke Storck bicycles. 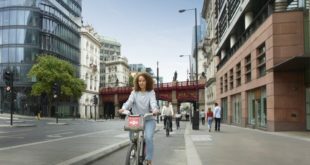 Poshbikes didn’t originally distribute Storck’s Raddar electric bikes so Ian Hughes, formerly the general manager at Scott UK, created a company to distribute these high-end e-bikes. 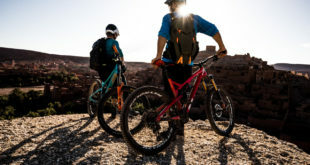 Storck Raddar UK becomes the new exclusive distributor for all Storck products in the UK including Storck road and mountain bikes, alongside their existing range of hybrids, e-bikes and clothing. Designer and owner of Storck Bicycles, Markus Storck, said: “It makes sense to combine the sales, marketing and distribution skills that Ian Hughes has to distribute the full range of Storck in the UK and the skills of Poshbikes to devote their time and engineering expertise to design and assemble the special edition versions of Storck bicycles for discerning customers." Ian Hughes, a former BBC radio DJ, was responsible to setting up and running Scott UK for 15 years. 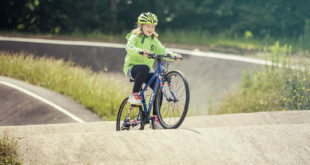 Hughes said: "We will be appointing and working closely with a small number independent bicycle dealers, between 30 and 40. We have some very exciting new ideas to help develop the Storck brand, and support a dealer network." Andy Wallis of Poshbikes said: “Our new role heading up Storck’s official Custom Division will allow us to focus our strengths where we excel. This collaboration will see the introduction of limited-edition, officially-tuned Storck bicycles."